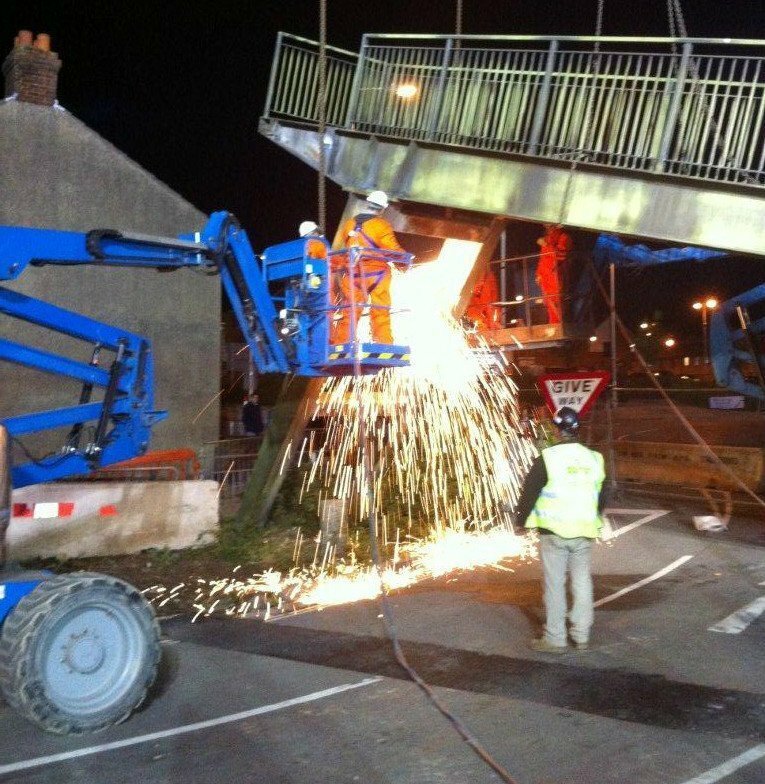 Night-time road closures were put in place on the busy A27 Chichester bypass to allow us to remove a link bridge whose span covered all four lanes. simultaneously support and lift both halves of the bridge, to prevent the risk of collapse among any of its sections. commence the deconstruction process, before excavators – placed on road protection mats – continued the removal of buttresses and support columns. We were assigned a 48-hour window in which to complete the bridge removal, with the implementation of huge financial penalties for noncompletion within the time constraints. The efficiency and professionalism of our team saw the project completed six hours ahead of schedule, allowing the road to be re-opened sooner.